Ragdolls are just huggable! Soft and fluffy with true-blue eyes and a large, silky soft tail and a sense of humour, the Ragdoll is certainly an endearing creature. They are easy going, loving, gentle and playful. These remarkable felines may even be trained to walk on a leash like a dog! They love company and will seek their owner out and offer to lend a paw with whatever you are doing! The Ragdoll originated in the United States in the 1960s. In the late 1970s they were imported into South Africa but only achieved a recognised status twenty years later. They are still rare and not easy to find. Weighing between six and nine kgs, these loveable, affectionate clowns are large and quite imposing. Their coat is a medium-length, very silky and very thick. They have large round, fluffy paws and a long, bushy tail. There are three coat colours within this breed and three coat patterns. Mainly Ragdolls come in a dark, chocolate brown, a blue (grey) or a red colour. Their patterns range from Colourpoint – which is similar to a Siamese with a coloured face, ears, legs and tail (points). 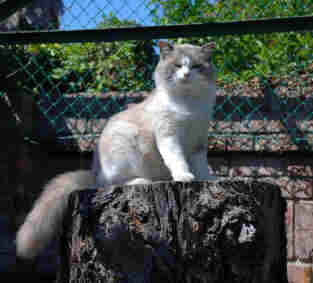 The `mitted’ – which literally has white `gloves’ on the front paws while the rear are white at least to the knee. The chin, bib, chest and under body is also white. Many have a white blaze on the nose as well. Lastly, the Bi-colour has a coloured tail, ears and face with an inverted white V on the forehead. It’s stomach and legs are also white. 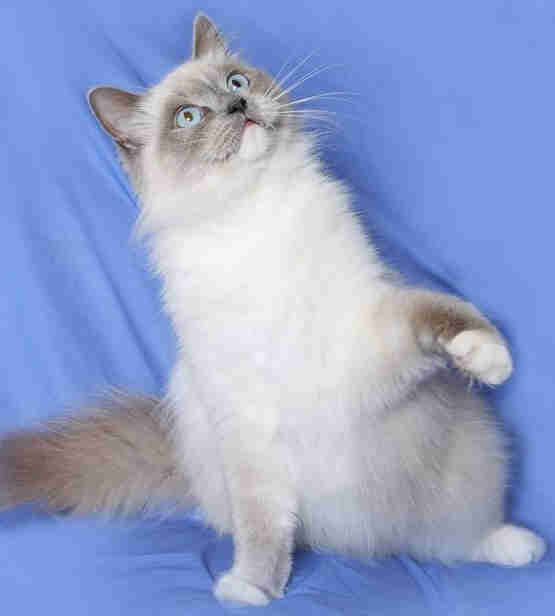 The Ragdoll may also have a Tabby Point pattern. In spite of the lush, fluffy coat, the fur is silky and does not tangle or matt easily. While the Ragdoll does not need daily brushing, it still needs regular grooming to keep the coat in good condition. Because the Ragdoll is a large cat, it requires daily exercise and will enjoy cat toys and games with its owner. 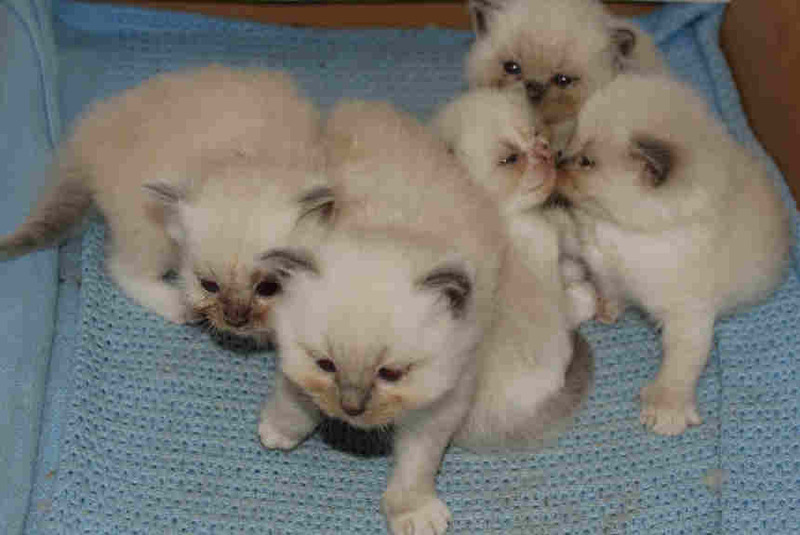 These ragdoll cats & kittens belong to Waterlee Cattery, South Africa.